Thursday Is Dollar Day at Papa’s! 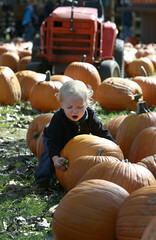 Family-friendly has been a guiding value for Papa’s Pumpkin Patch since we started 35 years ago in 1983. 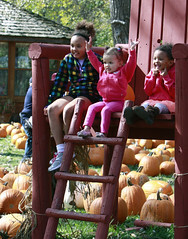 This year, Papa wants to step up the focus on family-friendly by offering Dollar Day Admission: Each Thursday this fall, admission at Papa’s Pumpkin Patch will only be $1/person (regular admission is $5/person)! It gets better. We have volunteers running our extra activities every Thursday from 5-7 pm as well as Saturdays and Sundays from 12-6 pm. That means the zip line swings, pedal carts, pony rides, hay rides, corn cob sling shots, pumpkin trebuchet and pumpkin cannon, the train rides and concessions will all be open Thursday evenings, and Saturdays and Sundays. Admission for toddlers two years and under is free every day at Papa’s. 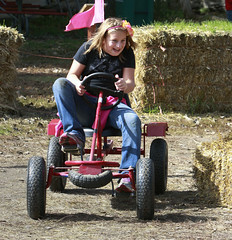 Plus, if you Bring Your Own Wagon (BYOW), you receive one free admission. 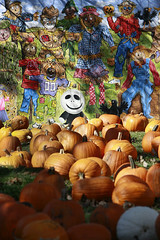 Papa and the family are working hard to find ways that make a visit to Papa’s Pumpkin Patch an affordable, fun way to spend time outdoors together. FYI: Papa’s is open Sept. 10 – Oct. 21, 2017 from 12-7 pm daily, weather permitting.